I finally managed to see Disney's blockbuster hit 'Zootopia' last night (NOT Zootropolis, as its been renamed to in some countries, it just doesn't work as well) and was pleasantly entertained with the Disney formula, but wasn't totally surprising. The film is set in a world where animals have evolved to lose their predator/prey instincts and live together in harmony, anthropomorthically. One rabbit, Judy Hopps, from the small town of Bunnyburrow has a dream of becoming a cop and is the first rabbit to do so. But when she moves into the heart of Zootopia, things do not turn out the way she thought it would. Conned on her first day on the job as a meter maid by a wily fox named Nick Wilde, Judy questions her own ambitions, but this same fox may be the key to her solving her first missing persons case, or lose her job. 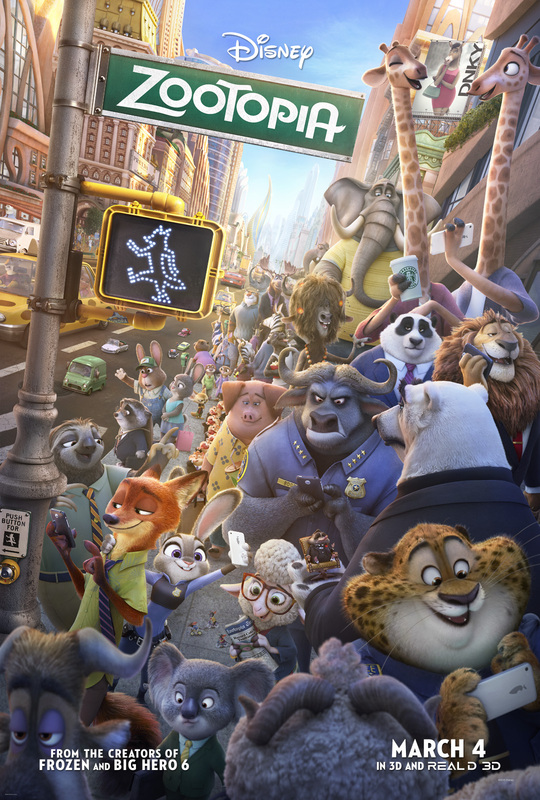 'Zootopia' quickly fills in on backstory before setting the scene of the beautiful world of Zootopia, including Tundra Town, Rainforest District, Little Rodentia and Sahara Square. Much like Disney's previous film 'Wreck It Ralph', creating these distinct places offers dynamic range of beauty and its own set of challenges for the characters. As Judy rides the train across the different zones, it was very reminiscent of 'The Hunger Games', when Katniss heads to the Capitol for the first time. Intentional or not, who knows! 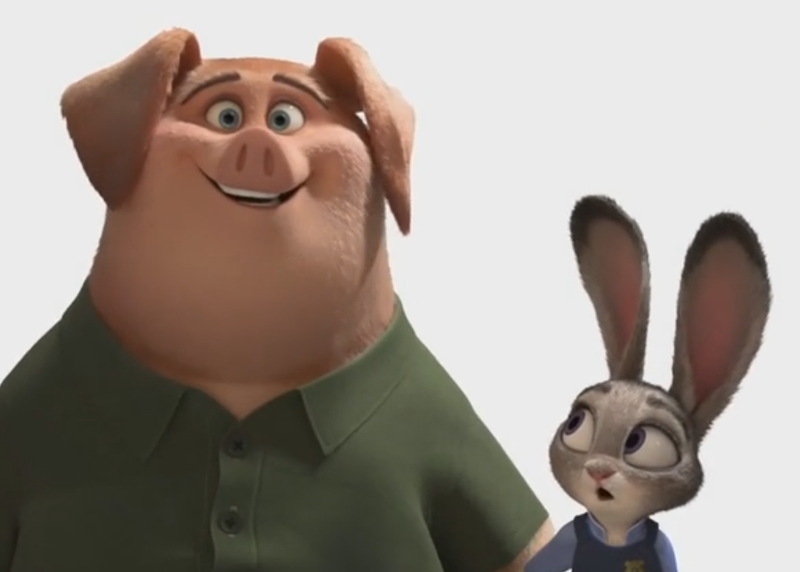 The clever thing about Zootopia is its use of animals doing human things to create humour. 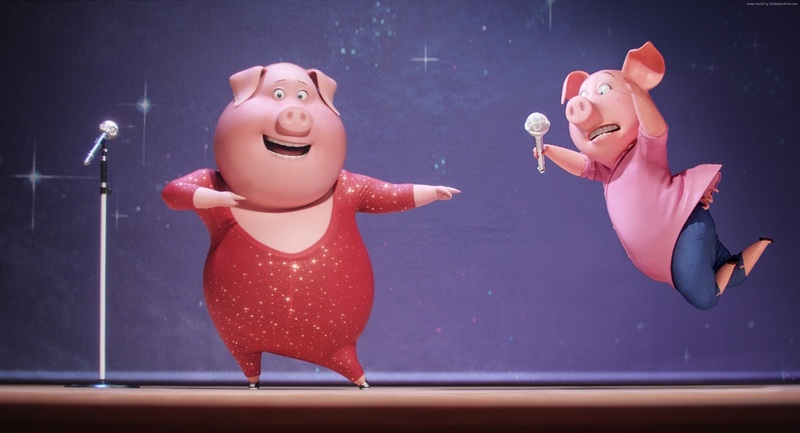 Though it largely plays on stereotypes- foxes being sly, slothes being slow, and predatorial animals usually being the baddies, it works harmoniously throughout, and the funniest scenes involve the sloth Flash and Mr Big the crime boss shrew. Unbeknownst to me, plot wise, Zootopia takes on a crime thriller, with similar twists and turns as movies within this genre. This was rather refreshing, though unfortunately (perhaps I've seen too many), the twist at the end was rather predictable and I could see it all coming. Also voiced by Octavia Spencer, Alan Tudyk and Shakira. 'Zootopia' is one of the best animated features of 2016 and its box office is testament to how compelling an original film could be- second to Avatar. Despite its predictable plot twist, its stunning environment, likeable characters and a unique crime thriller theme make this one of Disney's best, and they've only just scratched the surface. And with Wilde and Hopp now teaming up, it seems sequels will be in the pipeline, exploring a lot more of what Zootopia has to offer! It will, however, face some stiff competition from itself at next year's Academy Awards, with Pixar's Finding Dory and The Jungle Book, potentially all gaining nominations- let's just hope they don't forget about this rare gem of a film!